Every student is a person of value and worth, with unique gifts and abilities and a mandate to make a difference in the world in which they live. Each has a story to tell; an important and individual story which has shaped their life to this point. We partner with parents in an endeavour to have each child reach their full potential. Each student is on a personal spiritual journey of exploration and faith. We provide an environment in which this faith is stimulated and nurtured through worship, prayer, study, personal interactions and healthy discussions. SVCC provides a broad range of subjects, enabling students of various learning styles to excel within the Australian Curriculum framework. The teaching approach is aligned within an Understanding by Design methodology. This approach allows students to develop through investigative learning opportunities using Essential Questions. Inquiry learning is thereby prompted, fostering the capacity for lifelong learning. 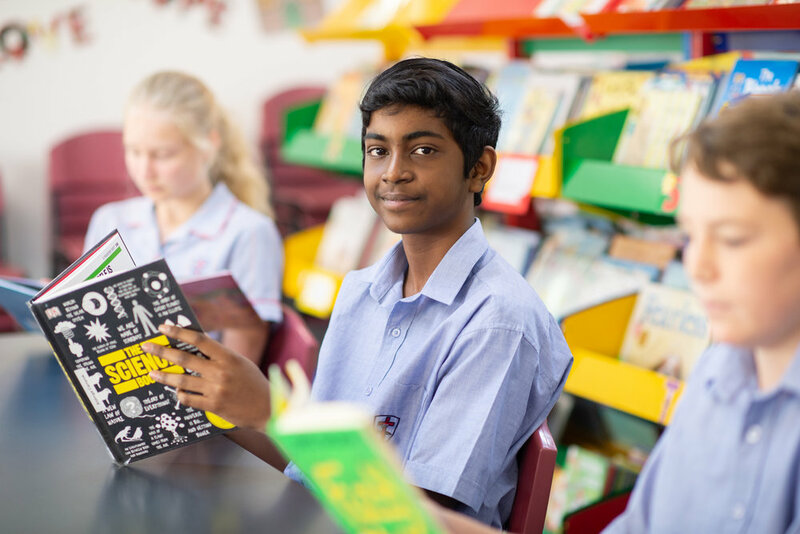 SACE subjects are studied in depth at a Senior School level. Biblical principles and concepts are woven throughout the learning experience. Learning experiences are enhanced through engagement with the wider community. Good examples of these include the Science and Engineering challenge based at Flinders University and the Apex Fashion Design. We are particularly proud of our exceptional Arts program and have had the privilege of being displayed in the SACE Art show. A sense of belonging and purpose is developed through our teaching program and especially through our Mind Matters initiative. Students are enabled to engage and to develop a community mindset through lunchtime clubs, house competitions, assemblies and various special events. These are all opportunities to further strengthen the positive community culture within the college. In order to facilitate 'just-in-time' personalised learning, students utilise their laptops to engage and be immersed in their studies. Students have immediate access to information relating to their particular study of interest. This is supported by a substantive network system, incorporating a Learner Management System where students have 24 hour access to assignments, homework, marks and other resources provided by their teacher. This program has yielded increasingly positive academic outcomes. Students are supported and extended through the Learning Hub, where staff are focused on meeting and enabling the particular and individual needs of each person. The program includes individual learning support, Debating and Chess Competitions, Tournament of the Minds, Oliphant Science Award participation and Philosophy. All of these are endeavours to develop the unique skills and interests of each student. We warmly welcome families to tour each of our campuses and we invite questions around enrolment. We pray God’s blessing on you and your family as you consider Southern Vales Christian College for your child’s education and learning experience.